Books on the go . . .
What if almost everything we believed about finding happiness turned out to be inaccurate, misleading, or false? And what if those very beliefs were making us miserable? A growing body of scientific research suggests that we are all caught in a vicious cycle whereby the more we strive for happiness, the more we suffer. 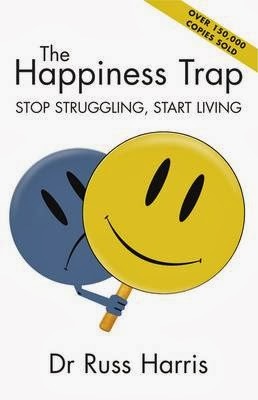 This book provides an escape from "the happiness trap", via a revolutionary new development in human psychology: Acceptance and Commitment Therapy (ACT). ACT helps people to create a rich, full and meaningful life, whilst effectively handling the pain that inevitably comes with it. This book shows you how to apply ACT in your own life to increase self-awareness, develop emotional intelligence, and transform painful feelings so they have much less impact and influence over your life. 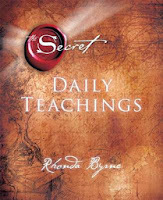 Take the Next Step "The Secret" contains clear principles on how to live your life in accordance with the natural laws of the Universe, but the important thing for every person is to LIVE IT. 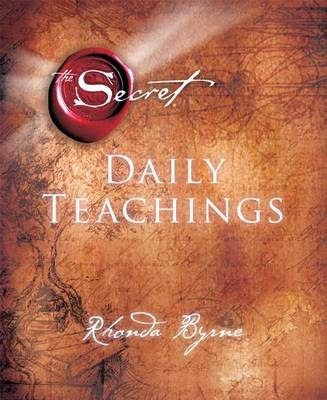 Now, with "The Secret Daily Teachings," Rhonda Byrne takes you through a year of teachings, sharing wisdom and insights for living in harmony with the laws that govern all human beings, so that you may become the master of your life. Building upon "The Secret" s powerful truths, your knowledge of the law of attraction is about to expand far beyond what you can imagine. More joy, more abundance, more magnificence every single day of the year. Uncover the Secret to Better Health to Prevent Cardiovascular Disease, Obesity and Other Chronic Diseases Acidic wastes from processed food and chemical additives have detrimental effects on the human body. When acidic wastes accumulate, they can cause organs to malfunction, causing degenerative diesease. The Acid Alkaline Balance Diet has helped thousands of people restore overall health by showing how to balance the body's acid-alkaline to detoxify toxins based on metabolic type. This edition has now been fully revised and updated with new information on heavy metal foods, alternative treatments and supplements and continues to provide an easy-to-follow food combination and herbal therapy regimen. This completely revised edition includes: New research about heavy metal foods and acid alkaline balance. Such as chelators that move metals from the bones to the brain where they are more destructive. Warning on potentially harmful effects of some nutritional supplements New research and alternative treatments for various health conditions caused by the body's production of acidic waste Forget the traditional acid-alkaline food lists. 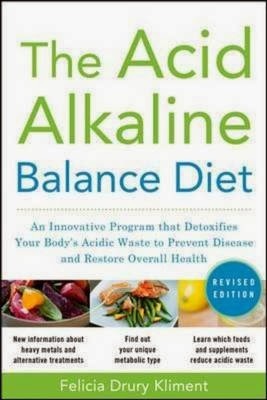 Discover how The Acid-Alkaline Balance Diet will help you lead a longer and healthier life.